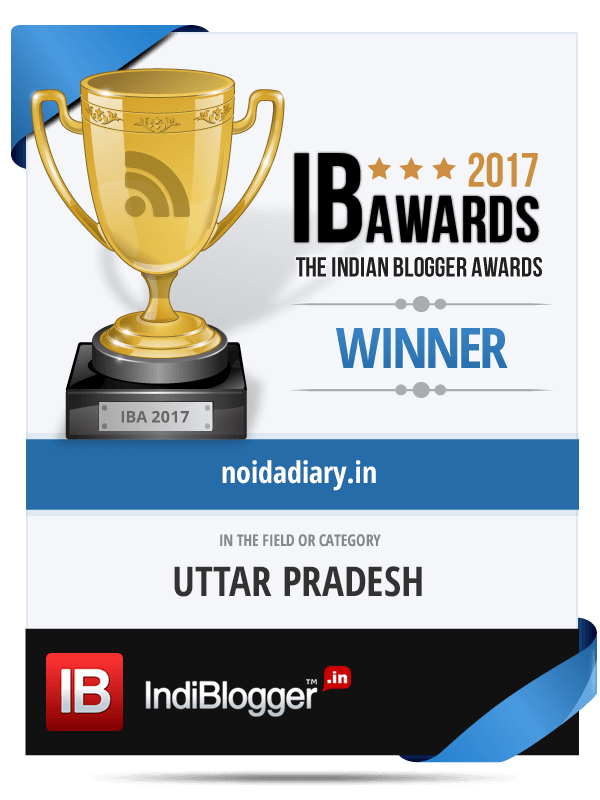 Annual Wreath Laying Ceremony at Shaheed Smarak in Noida - Noida Diary - Rediscover Noida With Us! Shaheed Smarak is a Tri-Service memorial in Noida to honor all the Defense Services personnel of Noida who have made the supreme sacrifice to save the motherland. The memorial is a tribute to the sacrifice, commitment and the spirit of our valiant soldiers. Annual Wreath Laying Ceremony at Shaheed Smarak in Noida is held in traditional pomp and style with uniformed men. 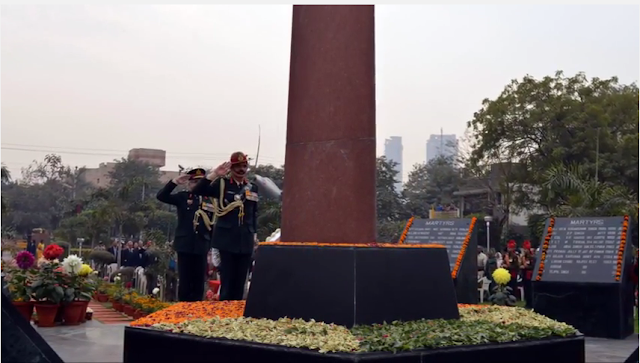 Annual wreath laying ceremony at Shaheed Smarak in Sector 29 was held on February 17, 2016. 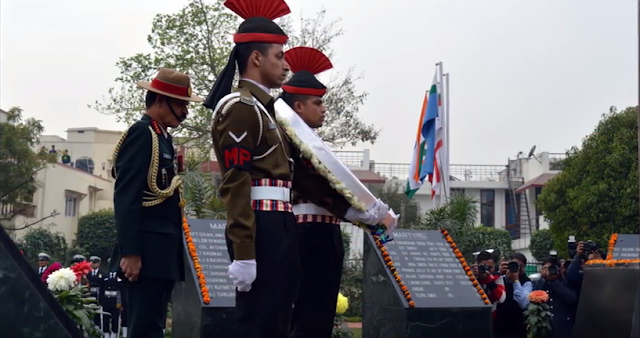 Chief of Army Staff (COAS) General Dalbir Singh Suhag paid homage to the martyrs by laying the wreath on the occasion of 15th annual day of Shaheed Smarak Sanstha. COAS was the chief guest of the event. Wreaths were laid down on behalf of Chief of Naval Staff (CNS) and Chief of Air Staff (CAS) by Rear Admiral Sanjeev Shrivastav and Air Force P Krishna Subhani respectively. Wreaths were also laid by family members of martyrs of Noida. The impressive ceremonial guard of’ honor and military band imparted a special aura to the annual wreath laying ceremony. A soulful patriotic song was beautifully rendered by students of Army Public School, Noida. Around 500 people including Mr N P Singh, District Magistrate – Gautam Buddh Nagar, SSP and SP (Traffic Police), senior veterans, family members of martyrs and defense personnel, officials and students and staff from Army Public School, Noida (APSN) participated in the function. People paid floral tributes to the martyrs at the Shaheed Smarak. Army Chief addressed the gathering and released souvenir on the occasion. He met the next of kin of martyrs. The function was concluded with high tea. Watch the Wreath Laying Ceremony at Shaeed Smarak, Noida in this video beautifully captured by Mr S K Manocha on his YouTube channel. Thanks for sharing this. Whatever we could do to pay respect for these martyrs of our motherland can never be sufficient. Hail Indian Army! I was there in January but it was closed at that time . I thnink It remain closed after 10 AM ? Beautiful and thank you share this information….. Salute to the brave martyrs. Thank you Bushra for sharing information about this ceremony to pay respect to them. Thank you, Anjali! Indeed…salutes to our brave soldiers!! Thanks for stopping by, Rupam! It's a lovely place right in the middle of city. A place we frequent quite regularly. It feels so good to meet all the old retiree uncles and aunties from defense who are regular visitors of this place. It brings back the old world 'fauji' charm and that crispy mannerisms is totally unmissably so 'fauji'. Just love it!! Yea…it has specific opening and closing times …in the morning and evening too. It is a lovely place…very calm and peaceful with a beautiful garden around the memorial. Noida is home to many bravehearts who have laid down their lives including the Kargil Shaheed Capt Vijayant Thapar. The memorial, raised by the township, is a tribute to these brave men. It is unique in this aspect that people of the city have made efforts to honour their war dead. I will do a detailed post on it some time later. Do check it out before visiting, Garima. Thanks for stopping by, dear! Indeed…salute to the brave soldiers! Thanks Indrani for dropping by! This is something new for me. Thanks for writing about this!